Before you head up the hill and drive the scenic portion of the Kalanianaole Highway toward Waimanalo, the two neighborhoods of Portlock and Hawaii Kai are worth at least a quick stop. Koko Marina Shopping Center, at the highway's intersection with Lunalilo Home Road, boasts the only movie theater on the east side of Oahu, a large Foodland supermarket, as well as decent restaurants and shops. 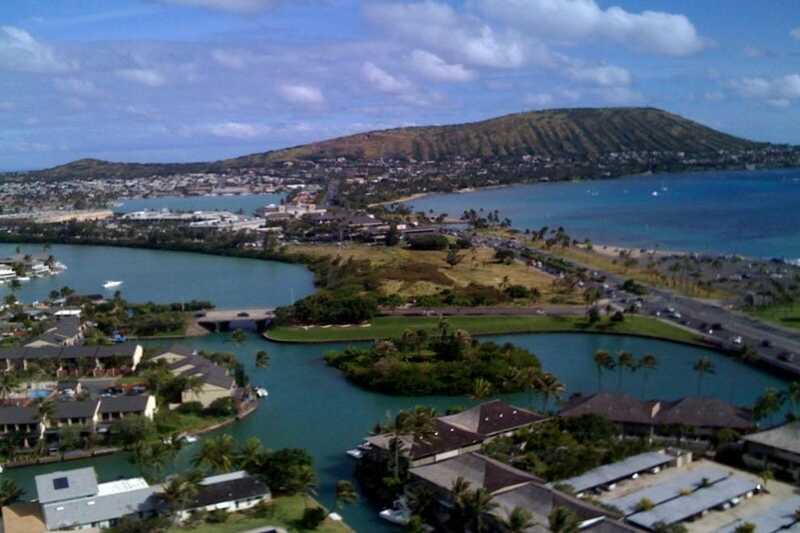 Portlock, on the ocean side, has some of Oahu's best homes, with breathtaking views of Moanalua Bay and Diamond Head.